That's a lot of robots, for a lot of dirty work. The New Protectors don't even feel it's necessary to take on The Odds personally. into this most uncertain mission! Tales To Behold 6, Page 28: Odds Against All! This is happening! 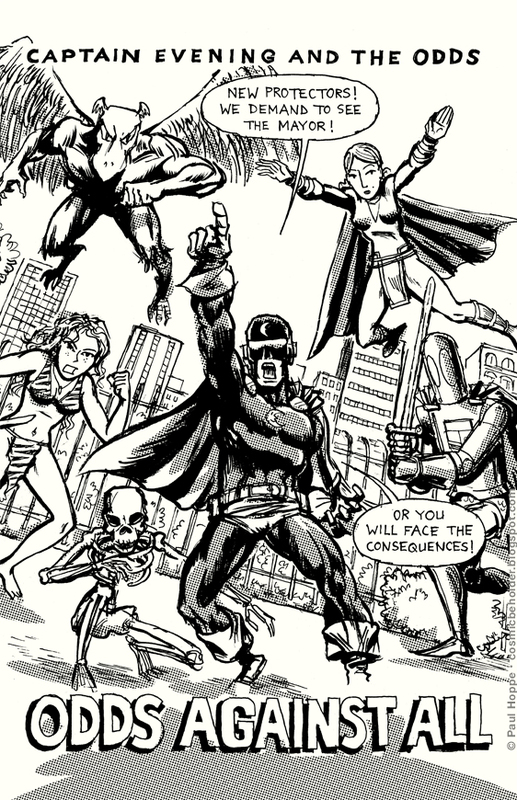 Captain Evening and The Odds are challenging the mightiest superteam of them all! Continuing where we left off last week, here's a little bonus drawing of Captain Evening and Hexia. These two seem to have an interesting relation. 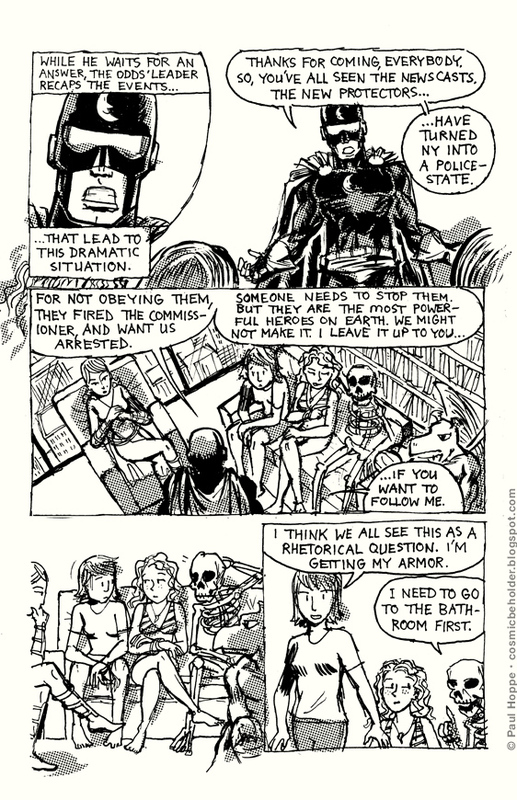 Definitely on two different sides of the law, and seemingly arch-nemeses, doesn't prevent other kinds of interactions. Hexia's first appearance was in the previous storyline. Our regular feature continues tomorrow! This is only the beginning– the action starts next week! Sue is one of those characters who actually grew and matured through her history. 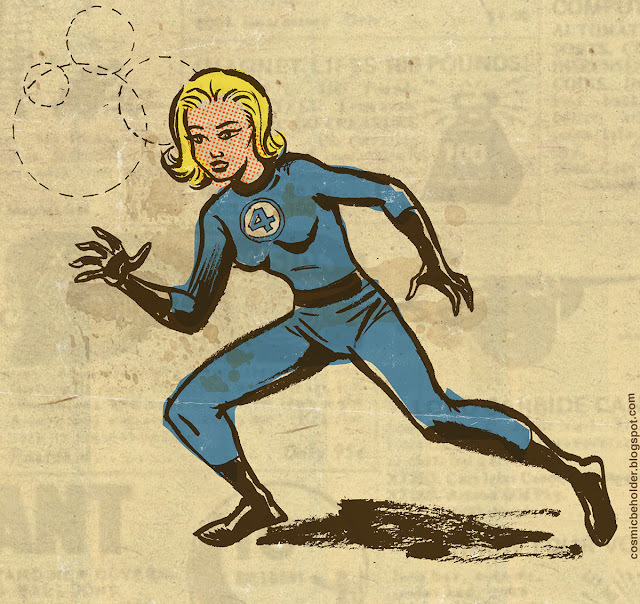 From a damsel in distress, often wearing an apron over her costume when making food for the family, (not shining a good light on how some of these early Marvel creators perceived women) she became a fierce fighter under John Byrne, when she changed her name to Invisible Woman, and has been ever since. Kinda neat to see this development as a whole.